A journey into the virgin forest to feel the silence and tranquility. 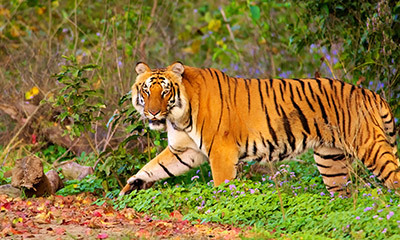 The Concept – This package will take you to some of the lesser explored areas of corbett tiger reserve which are not flooded with tourists but wildlife in plenty. 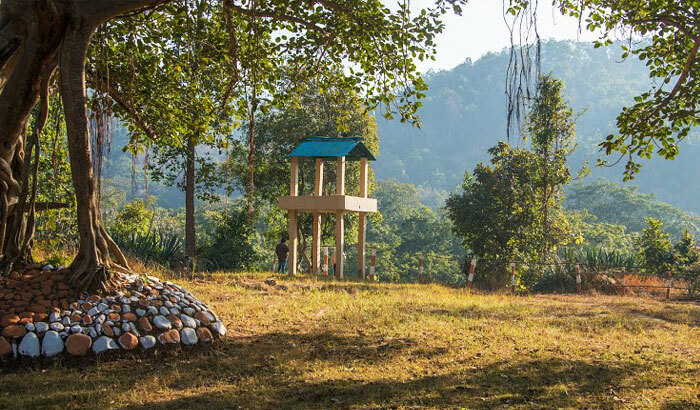 The experience of being in the raw nature, looking at captivating views of pristine forest and priviledge of being at locations away from human pollution is in itself a privilege. In this part of forest you will have to track animals using skills and reading signs of the jungles as here you don’t have privilage of getting much information of animal spotting from other tourists. 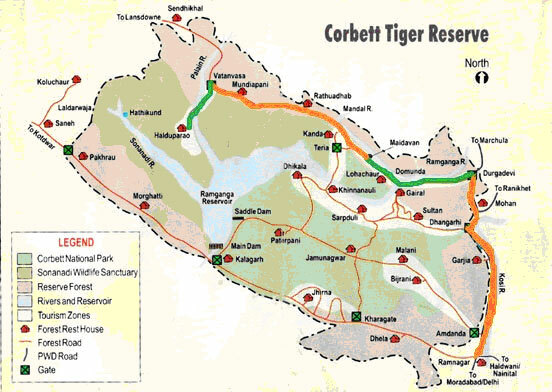 As we say, corbett is an experience and not just merely seeing the animals, this package will take you to a journey like never experienced before. 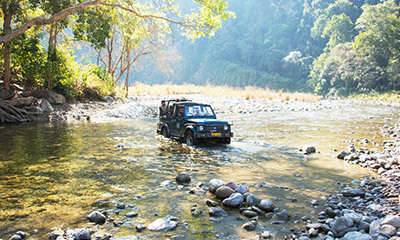 Guests will have to arrive ramnagar, where their vehilces will be parked and will board a four wheel drive with their journey ahead. 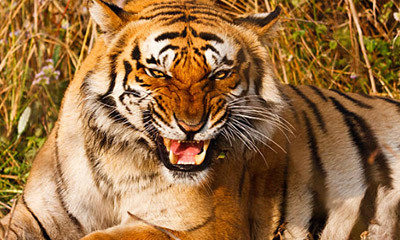 From Ramnagar you will head towards durgadevi gate of corbett national park which is approximately 24kms from Ramnagar. 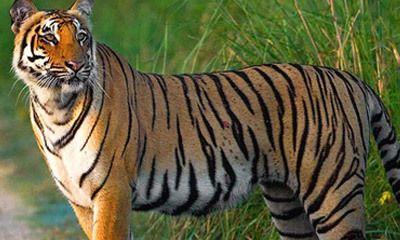 From Durgadevi you will enter lohachaur tourism zone of corbett national park crossing sal forest, chaurs (Grassland) and rivers (Ramganga and mandal). 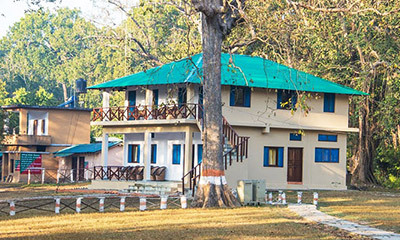 Lohachaur tourism zone in itself is unique and rich in bio-diversity. 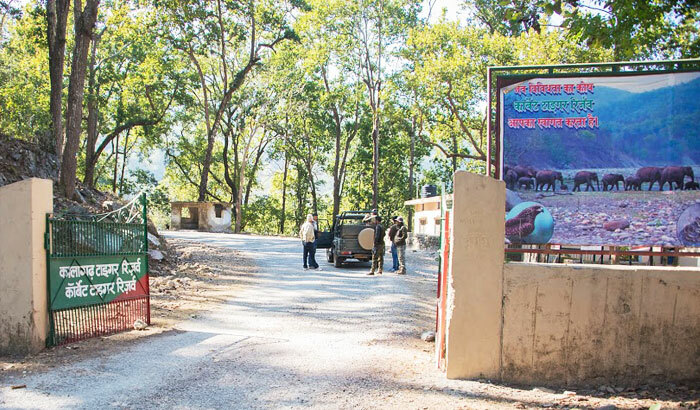 After traveling lohachaur tourism zone, you will exit from mandal gate of corbett tiger reserve and travel approximately 30kms on the periphery of corbett tiger reserve to reach Vatanvasa gate of corbett tiger reserve. 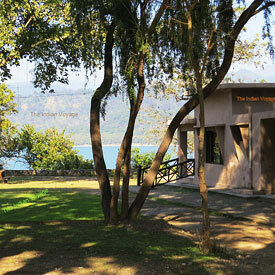 Your rest house Haldupadao is approximately 12kms inside vatanvasa gate. 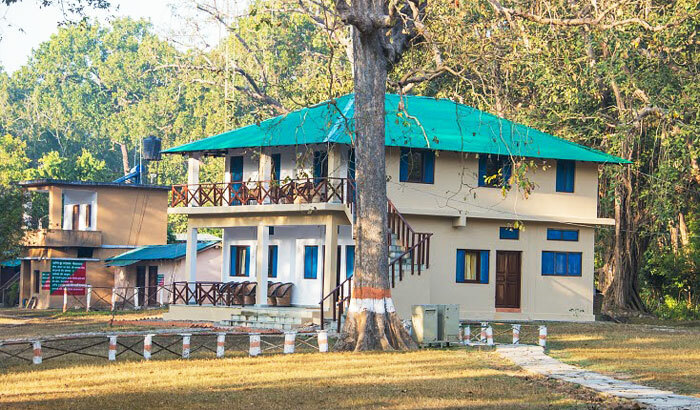 Haldupadao forest rest house is located on the bank palain river in the mid of the forest. 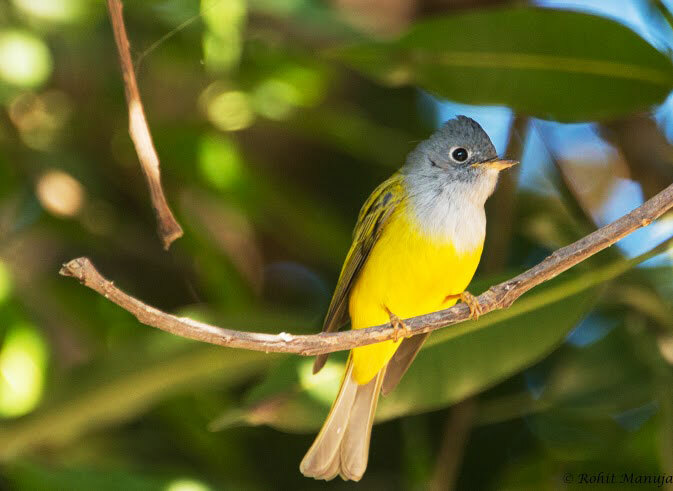 It is located right on the top of a hill on the river bank and gets a great view of river bed, which makes it great spot for spotting animals. 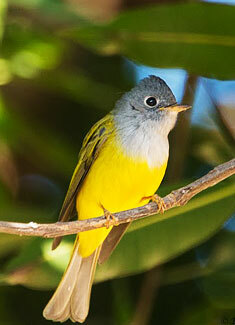 There is a machaan in the rest house for those who want to patiently wait and spot animals from a distance. 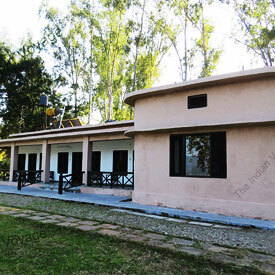 The rest house has lot of open space for thouse who wish to enjoy a cup of te basking sun in the fresh air. 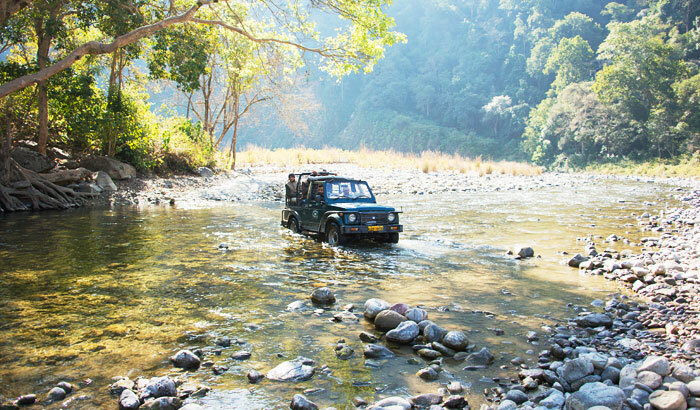 Upon arrival, meet and greet at Ramnagar (Around 10:30 am) and board your four wheel drive for a journey to pristine forest. You will head towards durgadevi gate of corbett national park passing through kosi river basin and garjia temple. Durgadevi gate is apporximately 24 kms from ramnagar. 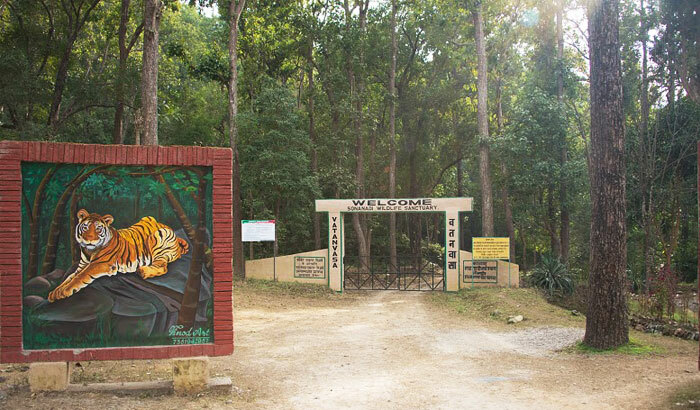 Enter the forest (lohachaur tourism zone) from durgadevi gate. 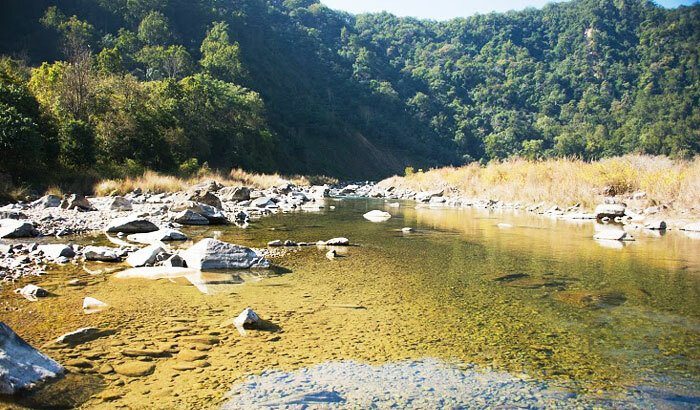 You can enjoy the richness of forest passing through rick sal forest, open meadows and river beds. 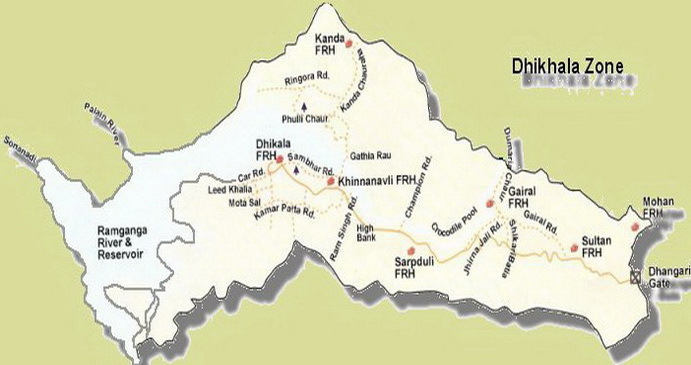 You will cross ramganga and mandal rivers on the way. 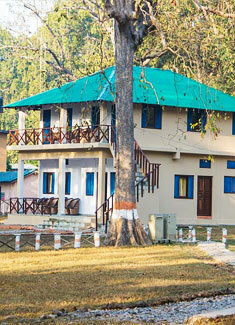 Have your packed lunch at lohachaur forest rest house. Start your journey towards Maidawan gate. You will have fair chances of spotting wildlife while crossing lohachaur tourism zone as the area is fairly rich in wildlife. If lucky you may also apot a ghoral or blue sheep, which is found in the area. 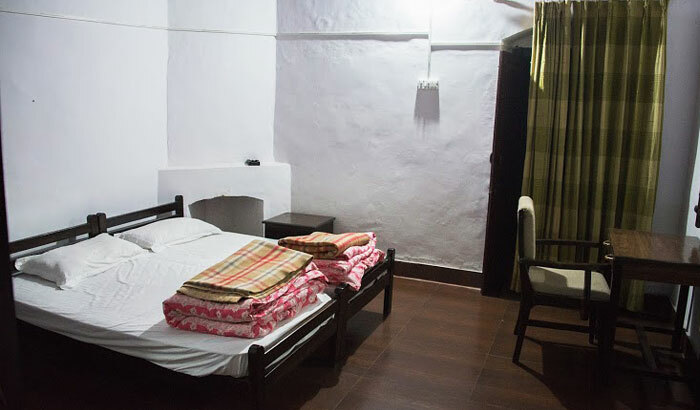 Maidawan gate is approximately 10 kms from the guest house. 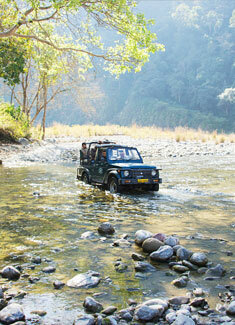 Exit from maidawan gate of corbett tiger reserve and drive almost 30 kms on the road on the periphery of the forest. 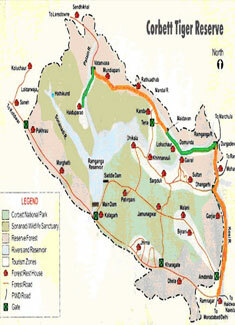 Here you will drive along the villages of kumaon and get a fair idea about the clulture of kumaon. You can try a cup of tea in kumaoni style on the way. 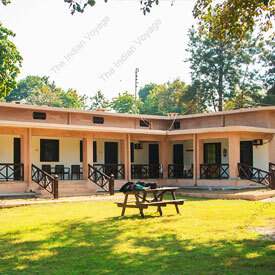 Arrive vatanvasa gate of corbett tiger reserve and start your journey towards your forest rest house, which is going to be your home for next 2 days. 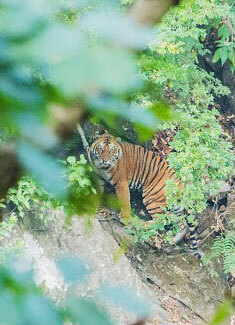 While travelling towards your rest house read the signs of wildlife or alarm calls if any. The area has very good population fo elephants and tigers and you can also se signs of presence of leopards in terms of pugmarks or scratch marks on the trees. Most of your drive to the rest house will be along the sonanadi river. 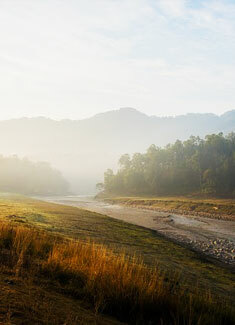 The rest house is located on the bank of palain river just before it meets sonanadi river. The area has abundance of water supporting wildlife in the area. 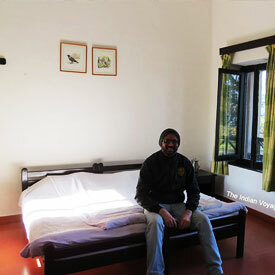 Early morning wakeup call and after a cup of tea in the fresh air, start for you morning safari. 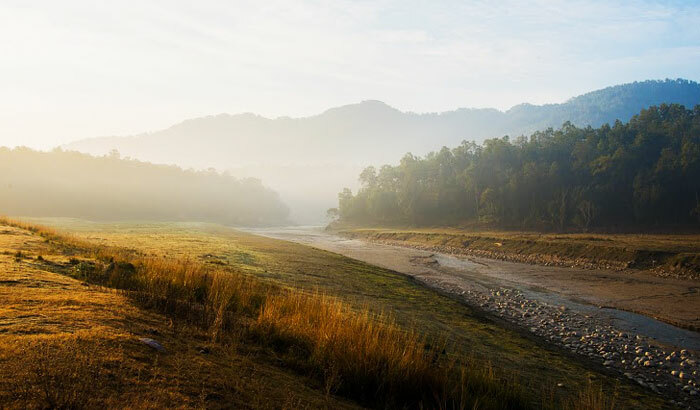 You can plan your safari towards kakari dhang, which is on the edge of ramganag reservior, the backwaters of ramganga river. Kakri dhang has open meadows and grasslands for supporting herbivorous animals in the area. You can often see heards of elephants crossing the river at kakari dhang. Or depending upon the alrm calls, and signs in the jungle you can also plan your safari towards mandalti sot, which is the crossing area for lot of animals. It is not a bad idea to sip packed tea while waiting for the animals or alarm calls. Back to the lodge for breakfast. Post breakfast, spend some time with yourself meditating having the feel of freshness in the air. The pure air in the surrondings will pump in your lungs and you can feel the difference in energy levels. Have your lunch at the rest house. Post lunch start your evening safari. In this area of park you will have to track animals using your skills or your driver’s skills. 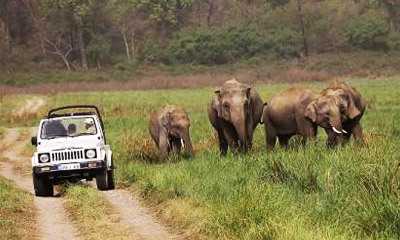 Since this area is not flooded with tourists, you may not have information from other tourist vehicles about presence of animals in a particular area, unlike in other tourism areas of corbett national park. If your tracking skills are good and luck favours you, you may be rewarded with good signtings of carnivore. 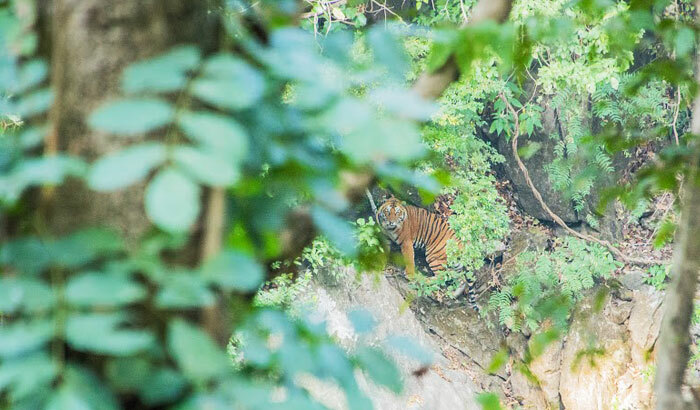 Unlike other zones of corbett national park or other parks in the coutry, here if you spot a tiger or a leopord, your gypsy is likely going to be alone and there is a all together differnet feel and thrill of spotting a big cat without disturbance of other vehilces. Back at lodge. You can enjoy evenings gazing at zillions of starts visible under the clear sky. Early morning wake up call and tea, pack your luggage and and board your four wheel drive checking out of forest lodge. Spend some time in the forest for safari and then say good bye to the beautiful forest. Take the same route on the way back entering from maidawan gate passing throught lohachaur tourism zone. Take your chances of spotting wildife on the way back. Exit from durgadevi gate and arrive ramnagar by lunch time. 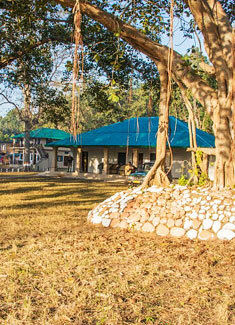 Haldupadao rest house does not have electricity and electricity is provided by invertors / solar lamps. 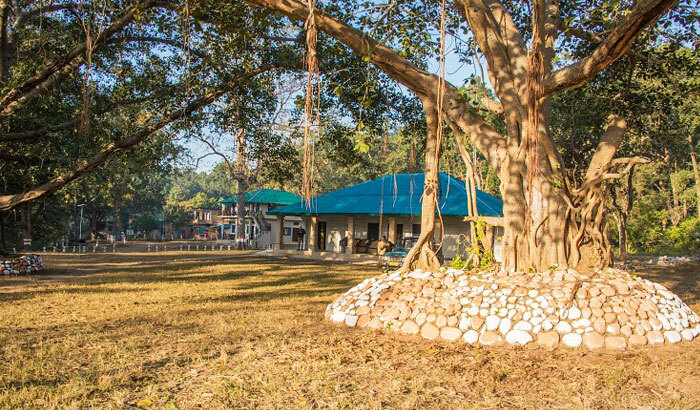 Haldupadao forest lodge or rest house does not has canteen and raw food needs to be carried from outside, which is included in our package. Food is cooked by the attendent in the rest house. What not to carry:- Heavy luggage, fire arms, pets. Important information:- The place is inside the forest and people with medical conditions are requested to keep medicines along with them. There is no electricity so keep your equipment fully charged. 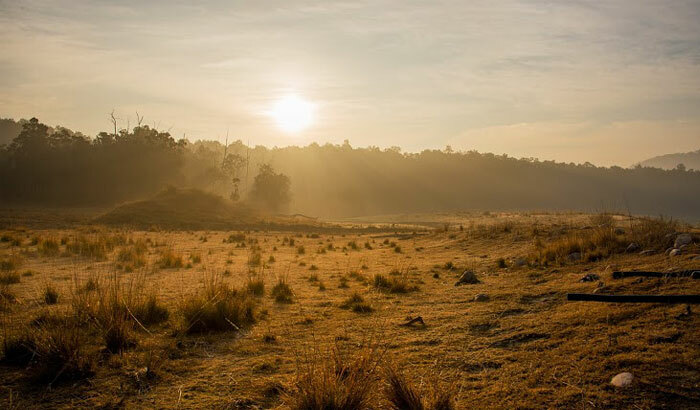 There is no cell phone connectivity in this area of the tiger reserve. Please note small changes in itineraries may be necessary due to unforeseen circumstances. However modification, if any, will be made in the best interests of the group or individual and you will be fully informed of any changes. Normally our groups will vary from 02 to 06 participants. The minimum number of persons required to operate a tour is mentioned under the itineraries. However, in certain circumstances, depending on the tour, we will operate at less than the minimum number in order to avoid disappointment to our guests. List of things to carry will be sent to you once you book with us. However, in general you should bring a set of semi-camouflaged trousers/shirts/jackets. Jeans with brown or green shirts are a good combination. Bright colors scare off birds and animals, and in certain cases provoke them! Usually during the day it is pleasantly warm and a shirt and possibly sweater are adequate. However, nights can be quite cold requiring a sweater and jacket. Requirements will vary depending on where you are staying and which tour you are taking part in. You should bring one or two pairs of strong walking shoes, especially for trekking.